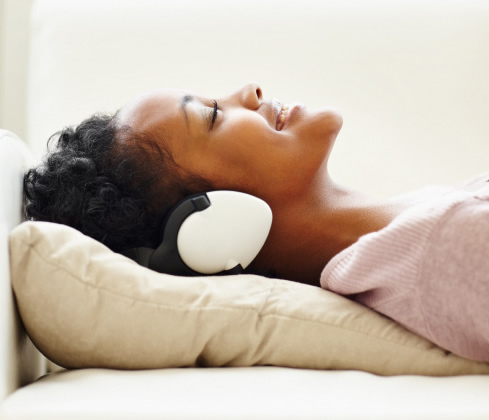 Music for Inspiration and Relaxation – Absolutely! Mar. 24 Cancer Help, Inspirational Gifts Comments Off on Music for Inspiration and Relaxation – Absolutely! One of the best gifts I got when going through cancer was a series of music tapes with healing and inspiring music. When life got tough, I would plug in and drift off into a wonderland of joy and wholeness. We all have different tastes in music. Some like classical, some jazz, some resounding rock or gospel, some quiet and peaceful. If you know your friend, you can match their style and give them beautiful moments of ‘away’ time. Maybe it’s music you share together and will help them think of you and your love. There is also subliminal music wherein the brain waves are accessed to create deep meditation, relieve stress, increase relaxation and deepen sleep. Who wouldn’t want all of these benefits! When you are thinking of an inspirational gift for a cancer patient, think music. It’s a very special way to say you care and want to help.